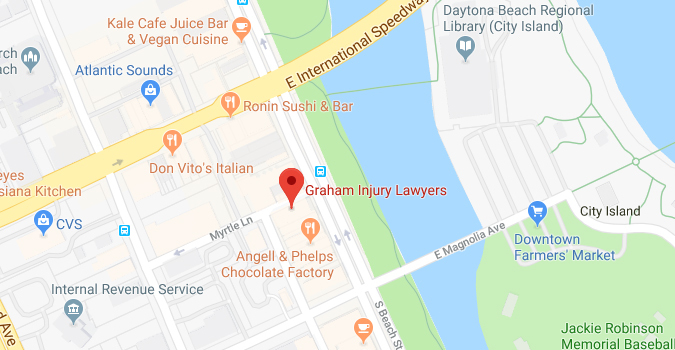 Daytona Beach Personal Injury Lawyers and Attorneys | Graham Law Group, LLC. When you or a loved one suffers an injury as the result of somebody else’s actions, perhaps it seems natural that the person would offer to compensate you for your injury, or that the insurance company will do the right thing and offer a fair settlement. However, this is usually not the case. 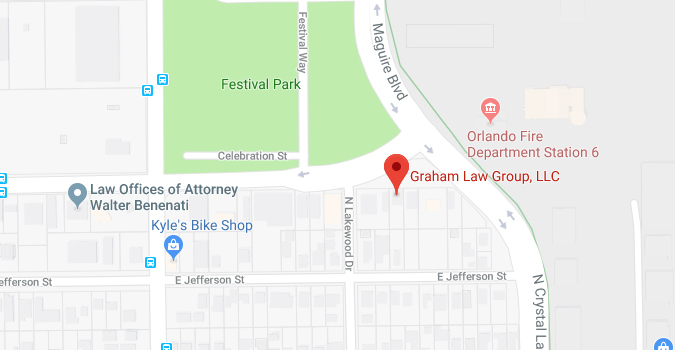 An experienced Personal Injury Firm such as Graham Law Group, LLC knows how to build your case, how to negotiate your case with an insurance company, and, if necessary, how to take your case to trial. While it is possible to negotiate your claim with an insurance company yourself, insurance companies will typically do everything they can to take advantage of you and to seek the lowest possible settlement. Additionally, the insurance company may elicit statements from you that will damage your case if you ultimately decide to sue. If you or a loved one has been injured as a result of someone else’s actions or negligence, call Graham Law Group, LLC today to find out your rights, and how we can help you receive the compensation you deserve. A “Slip and Fall” or “trip and fall” is the generic term for an injury which occurs when someone slips, trips or falls as a result of a dangerous or hazardous condition on someone else’s property. It includes “falls” due to water, ice or snow, as well as abrupt changes in flooring, poor lighting, or a hidden hazard, such as a gap or difficult to see hole in the ground. The National Center for Injury Prevention and Control estimates that in 2004, more than 8 million people were injured in “falls.” If you’ve been injured in a “Slip and Fall,” Graham Law Group, LLC can help. Don’t wait until it’s too late. The owner of any dog that bites a person while in or on a public place, or lawfully in or on a private place, including the property of the owner of the dog, is liable for damages suffered by person(s) bitten, regardless of the former viciousness of the dog or the owners’ knowledge. Any negligence on the part of the person bitten that is a cause of the biting reduces the liability of the owner of the dog that the bitten person’s negligence contributed to the incident. 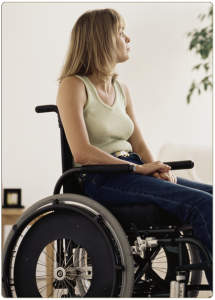 Florida places time restraints on when a Florida nursing home abuse victim or family member can report an incident. This statute states that the report must take place within two years of the incident. In the event that nursing home abuse and violation of rights caused the death of a nursing home resident, the resident’s family is entitled to pursue a wrongful death claim. Whether you or a family member was injured by a defective toy or a new gadget caused property damage to your house, you have four years to file a products liability lawsuit. If the discovery rule applies in these cases, the clock starts ticking on the date the facts gave rise to the cause of action were (or should have been) discovered. (New Paragraph) If you’re dealing with a product that has an expected of life of 10 years or less, you can’t file a lawsuit if the harm was caused more than 12 years after delivery of the product. if you are partially at fault for an accident, you may still file a lawsuit, however, your recovery of damages will be reduced in proportion to your fault. Florida also follows the economic loss doctrine, which states you can’t pursue a product liability claim where the only damages suffered are economic losses. For a Free Consultation, Call 407-802-2968 Today!